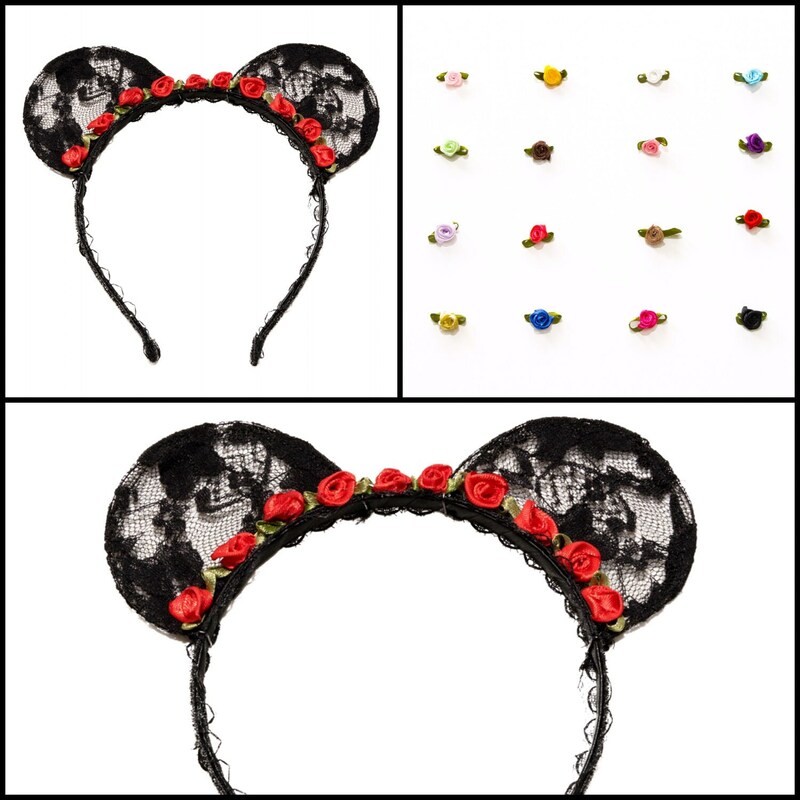 Sparkle and shine when wearing this Kitty Katrina Rosette and Black Lace Mouse Ears! Product Details: 1 Headband is included in this purchase. This Headband fits most head sizes. 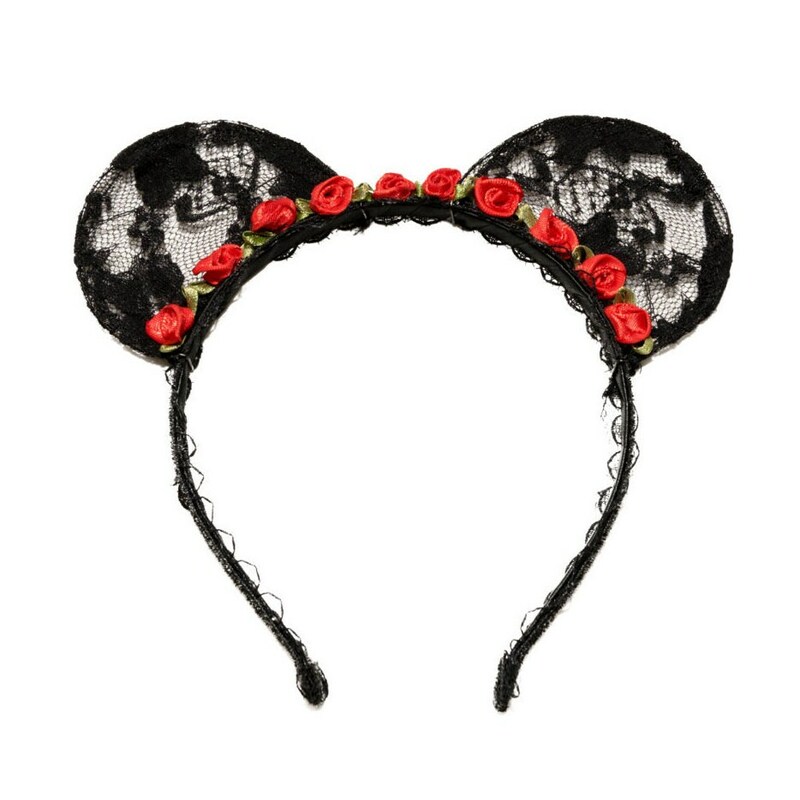 The ears are covered in black lace and the headband portion is covered in a sparkling black lace ribbon. The ears extend roughly 2 inches from the headband. 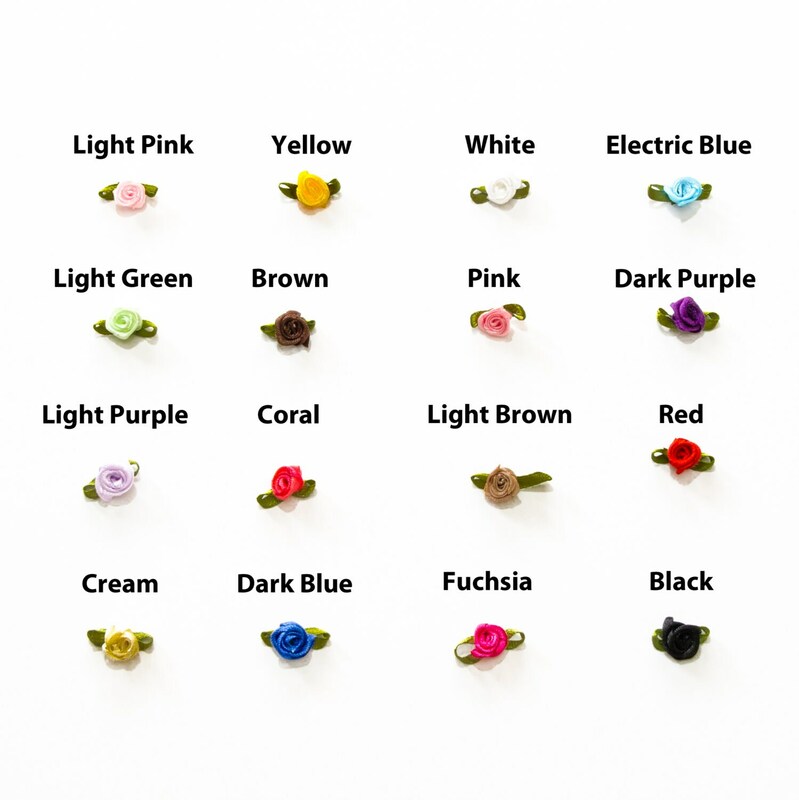 Each rosette is roughly 2 millimeters in diameter.